To start things off, my Mom arrived early to hang out with Mackenzie so that I could get on the road sooner than later. The weather was amazing and I finally understand how fantastic it is that we live in a place that has four seasons. The trees were green, yellow and red and the sky was a brilliant blue. I turned my iTunes to ‘random’ and rocketed up to Penticton. Yee-ha! I went up for the purpose of interviewing four amazing winemakers for an article I am writing for the Alcohol Professor. Fortunately for me – the interviews went very well, I learned a lot about wine making choices that winemakers face each harvest, and I had some great new experiences along the way. What a nice way to begin my wine festival weekend! Dad and Beth welcomed me with a Vodka and we got down to catching up over dinner. Friday was a busy day for me with three interviews lined up. 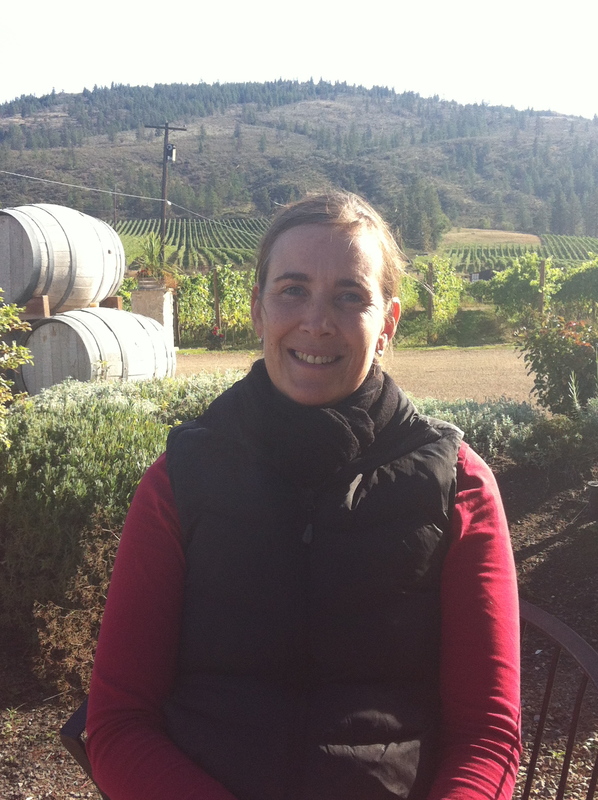 First off was Karen Gillis, the talented winemaker at Red Rooster, who took time out of her busy harvest to chat with me at the Naramata based winery. Karen is incredibly humble and continually gave kudos to her team for any successes she has been a part of. 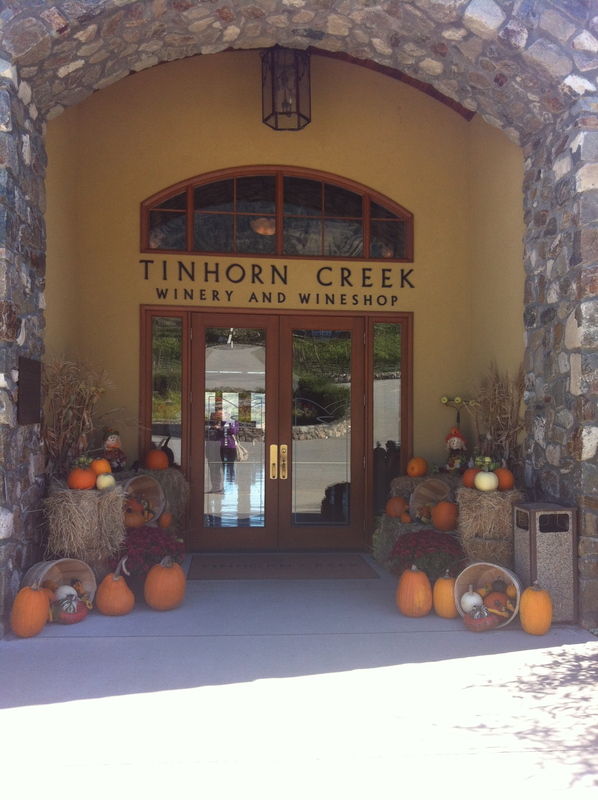 Then, I drove down to Oliver to meet with Sandra Oldfield of Tinhorn Creek. 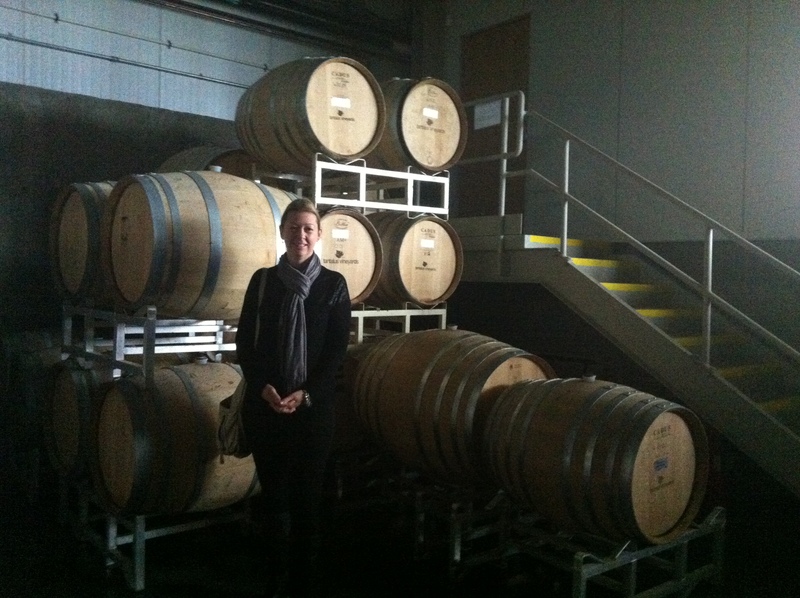 Not only is Sandra the winemaker, but she is also the President and CEO of the company. Sandra welcomed me warmly even though she had been up since 3 AM and give me her take on the current pulse of the Okanagan wine industry. Finally, I had the pleasure of meeting Severine Pinte of Le Vieux Pin and La Stella who welcomed me with a warm smile and a glass of Viognier. Merci. 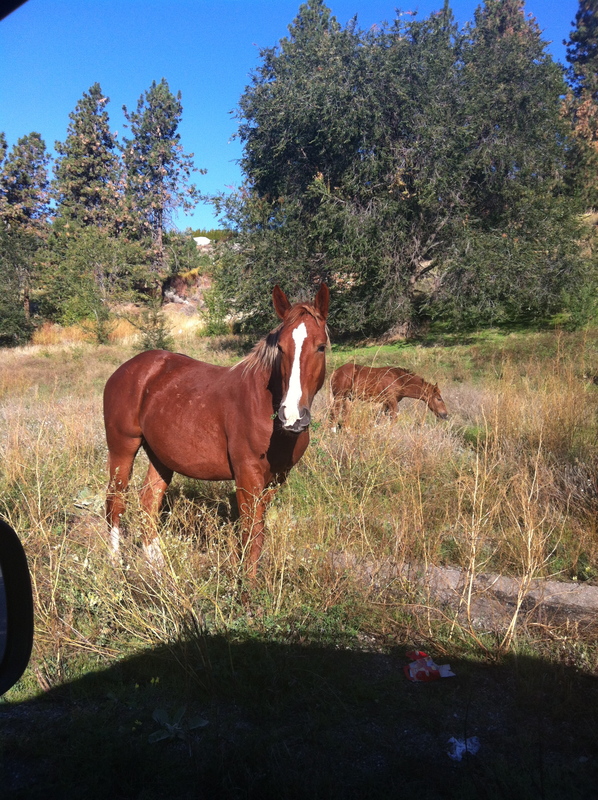 We chatted outside the tasting room in the warm, autumn sunshine and I felt like we were old friends in a few minutes. A beautiful and successful day filled with three passionate winemakers who are not only amazing to listen to but who also share a love of what they do and the wines they create. 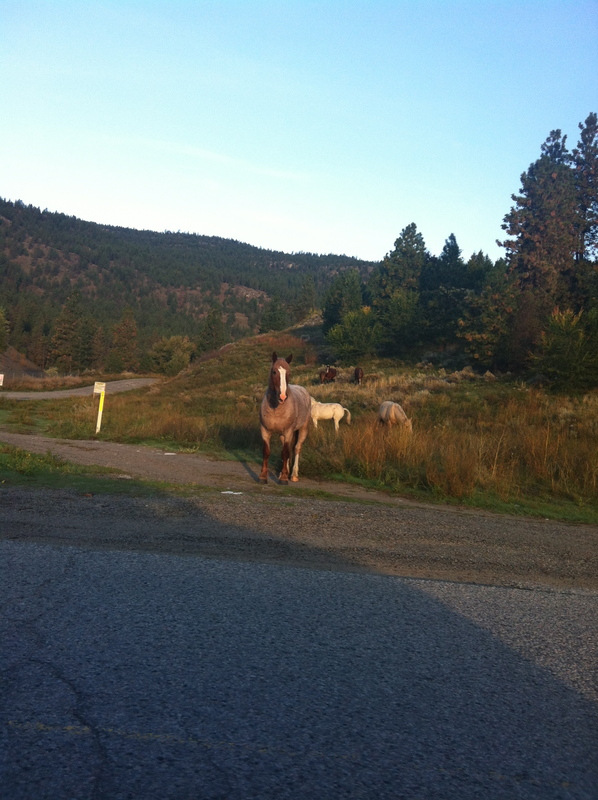 Saturday was non-structured day so I set out for Kelowna. After a brief visit to Target, (who can resist that store?) I made my way up to Tantalus Vineyards. I happened to arrive as Chelsea from the tasting room was taking two people on a mini-tour of the cellar and then out to the vineyard. I had a nice chat with Chelsea about her love of wine and how she enjoys the ‘wine geeks’ coming in for tastings. We headed back into the tasting room where Ryan was also on hand to add some of his great suggestions to my list. I didn’t leave empty handed and I am only too excited open the bottles I came home with. Thank you! Next was Summerhill Pyramid Winery, an organic winery who specializes in sparkling wines. I was just semi-impressed with this tasting room. It was packed with people inside and it felt very ‘touristy’ and a stark contrast to my intimate time with Tantalus. I went home with one bottle and felt a bit shortchanged on the experience. I will give it another try not during a wine festival to see if it was just the day. From Kelowna, I raced back down to Osoyoos to La Stella Winery as Severine, the winemaker I had met the day before, invited me to come to her other winery to sample the Italian inspired varietals. What an experience! Michael, Severine’s husband, led me and 4 other wine lovers through the entire flight of wine. Amazing stuff but, truth be told, the highlight was being able to sample straight from the barrel some of Severine’s wine while looking over Osoyoos Lake…an experience I will never forget. Thank you. I capped the evening off with dinner with one of my wine pals, Nicole Martinez, and her friend Jessica. At 8 PM, I was a tired lady. Sunday, I was up bright and early packing up my car with all of my wine purchases and set out for an early morning interview with Jeff Martin, the winemaker at La Frenz Winery. This Naramata Bench location is stunning and Jeff is a straight shooter who isn’t afraid to speak his mind. Jeff opened up a ‘sold out’ bottle of Reserve Chardonnay for me to try and then let me take the bottle home. It was stunning. After I left La Frenz, I went to visit a friend of my Dad’s, Ben Amos who used to provide his Pinot Noir grapes to La Frenz. 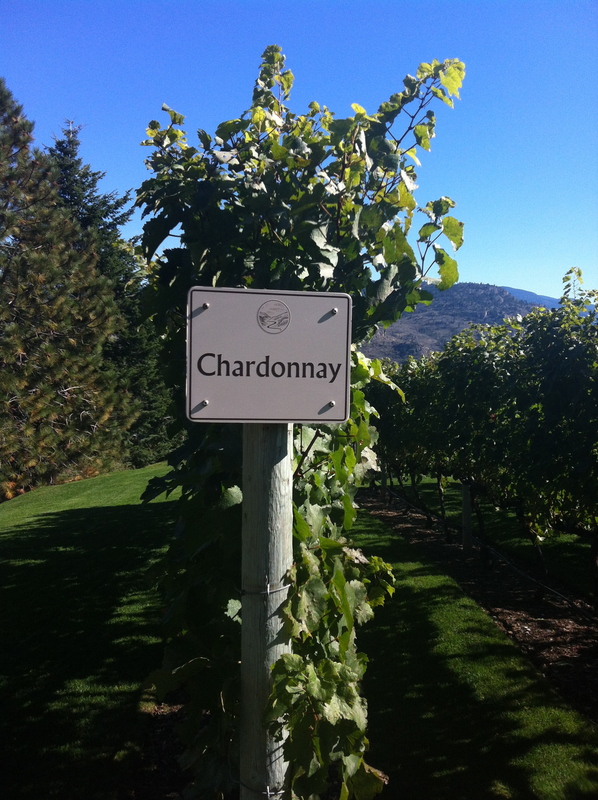 Ben has a gorgeous 5 acre lot where he grows Merlot, Pinot Noir, Sauvignon Blanc and some Chardonnay. 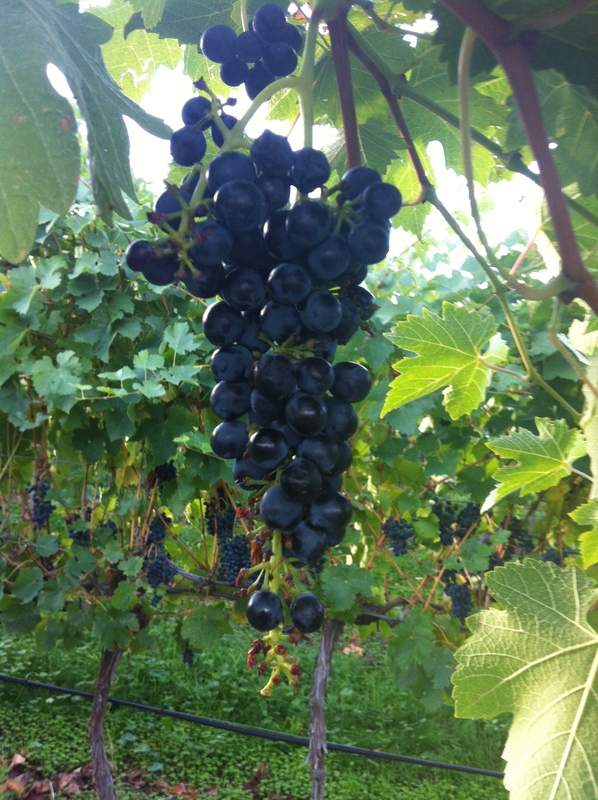 Ben led me around his property and encouraged me to sample some of the very perfect ripe grapes. This was the first time I have ever tried a Pinot Noir grape and a Merlot grape. My God, they are delicious! Ben insisted I not leave without a bag full of Gala, Spartan and Macintosh apples he picked right off of his tree as well as a bottle of La Frenz ‘Amos Vineyard’ Pinot Noir. Ben – you are a class act. Thank you. I drove home to North Vancouver, missing my family and looking forward to seeing them, but also very elated from the weekend I had had and the special people I had met. Everyone I had the pleasure of chatting with was pleasant and engaging. I have always been a fan of good B.C. wine but now I have a renewed respect for the winemakers behind the labels. Thank you again to Severine Pinte, Jeff Martin, Sandra Oldfield and Karen Gillis for taking time out of your busy harvest schedules to meet with me. You are incredibly talented and inspiring – I wish you every success with you current vintages! That is it for me this week. On a side note, I have chosen to take this semester off of school and will re-enter in January and do my French Wine Scholar program. Next week, I will be reviewing B.C.’s 50th Parallel’s 2012 Rosé. La Stella Winery looks amazing, I hear the make olive oil as well. Did you try some?